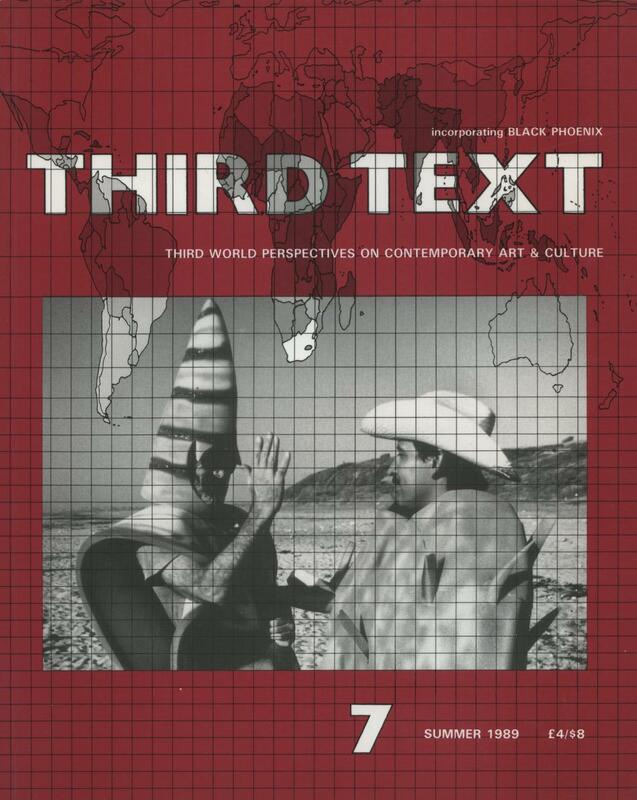 Cover of Third Text 7, summer 1989, courtesy Rasheed Araeen. Rasheed Araeen, an artist and maker of minimalist sculptures and installations, was born in 1935 in what is now Pakistan and moved to the UK in 1964. Without abandoning his artistic practice, Araeen became engaged in politics – including joining the Black Panther Movement – and theories of neo- colonialism and globalism. He was also the curator of one of the most important British exhibitions of the second half of the twentieth century, The Other Story, which presented the work of migrant artists from Asia, Africa, and Latin America. In 1978, Rasheed Araeen founded the journal Black Phoenix (reactivated in 1987 under the title Third Text), which continues to this day as one of the most important magazines devoted to art in a political, economic, and social perspective. Araeen’s purpose in publishing the journal was a natural part of his artistic practice (see: 1:1 scale), an attempt to break through the Eurocentric vision of the history and development of art (including the reception of his own art, which was read as “exotic,” through “projection” of an imagination of Pakistan onto minimalist, handcrafted sculptural structures), as well as opening it up to new readings that conflict with established museological conceptual edifices. In the exhibition we present a selection of issues of Third Text from 1987 to 1992, and will discuss selected texts from the magazine at reading groups and other meetings. The report presented in exhibition consists of seventeen issues of Third Text published between 1987–92 and loaned to the Museum of Modern Art for the duration of the exhibition. Courtesy Rasheed Araeen. 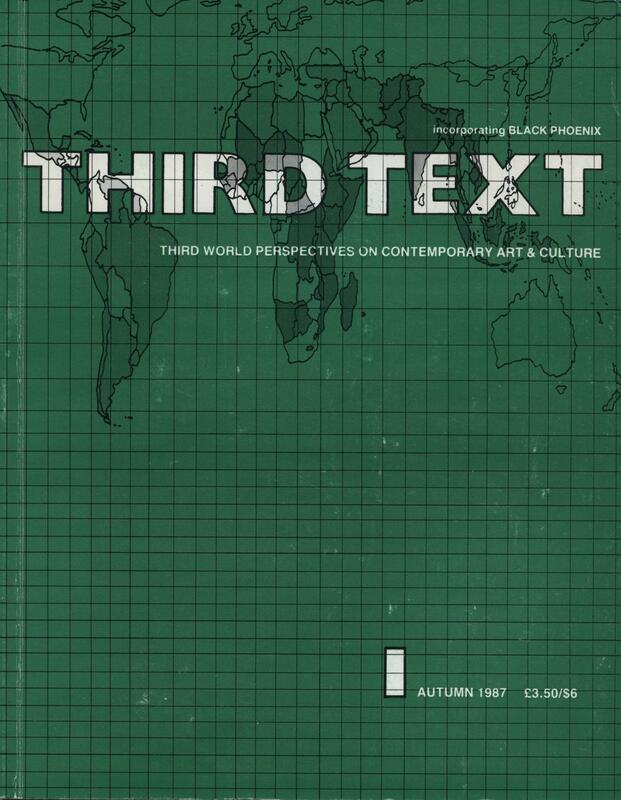 Cover of Third Text 1, autumn 1987, courtesy Rasheed Araeen.